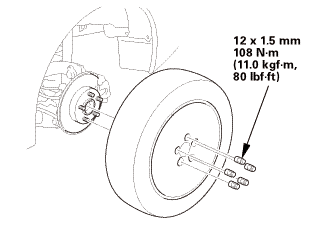 NOTE: Keep grease away from the brake disc and the brake pads. 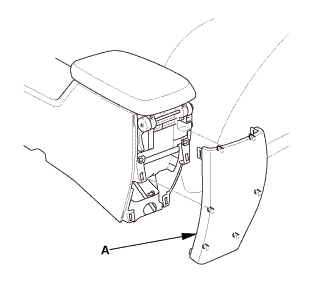 Inspect the brake disc to wheel surface for damage and cracks. 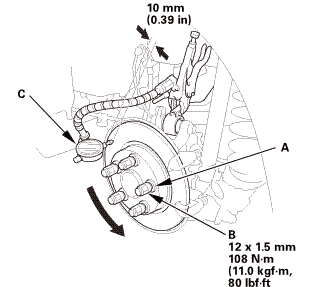 Clean the brake disc thoroughly, and remove all rust. 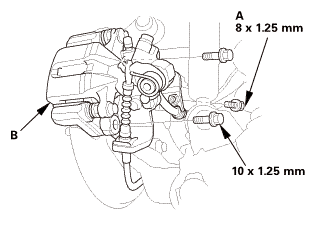 Install suitable flat washers (A) and the wheel nuts (B). 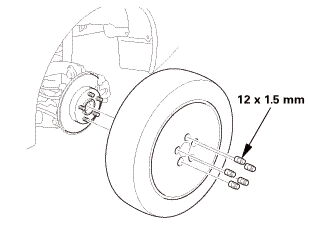 Tighten the wheel nuts to the specified torque to hold the brake disc securely against the hub. 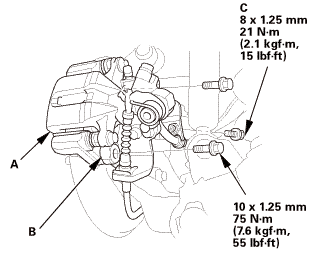 Set up the dial gauge (C) against the brake disc as shown. 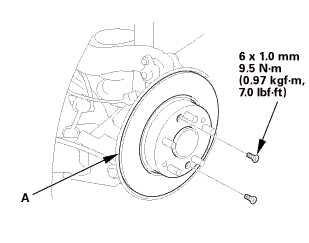 Measure the runout at 10 mm (0.39 in) from the outer edge of the brake disc. 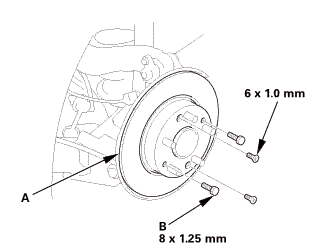 If the brake disc is beyond the service limit, refinish the brake disc with a Honda-approved commercially available on-car brake lathe. 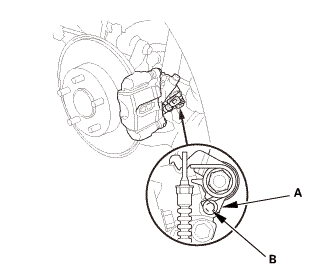 If the brake disc is replaced with a new one, check the new disc for runout. If the new disc is out of specification, refinish the disc.